Let’s agree to use simple terms to describe complex matters. Think of a sieve used for separating coarse, from fine parts of matter. Now imagine people who believe that running students through a sieve built of data will allow them to correct or remove unacceptable thinking – like getting rid of individuality, and those who think in ways that are not acceptable to those who are designing new standards for humankind. Barberism: Selecting those who can be programmed (educated?) in a new world order, and re-programming those who do not fit through the data-screens they create. Sieves, for that is exactly what they are, were used in Nazi Germany to sort out those with unacceptable religions, race, physical measurements, intelligence, illnesses, and of course wrong thinking. Sieves are being designed to standardize and program children. The warp and woof of these techniques is made up of data threads used to identify children who will be shaped to fit a predetermined ideal of the perfect subordinated child/citizen (learner?) Sieves are being used to generate data to decide who will be accepted into the new order and those data-judged souls who must go through “customized” re-programming. No one is making this up. This is happening now. Who designs the sieves? That’s easy: TEST DESIGNERS. When people have the power to design tests, they can force what is taught, in any way they choose. Sadly, there are still people who have not realized that tests drive curriculum – what is taught, what is left out, and what is fact-adverse. Teachers use tests to see if what they taught is what students learned. Now, corporations have made testing and curriculum design a multi-billion dollar a year business. They are so powerful they can force their products and their views on school districts, universities, departments of education, the AMA and doctors – on all of us. Few question their motives or the Barberism behind their hidden agendas. They make the tests secret so no organization can study them and understand how they are used for inculcation. Those who run these corporations have amassed great wealth and power. They are well aware that by writing tests and the curriculum to support the tests, and by using tests to collect data on every aspect of a child’s life, they can engineer a new order, a utopia they design and force into place. This is beyond fiction in any genre. This is the power and warped ideology they are forcing on America and much of the world. Focusing on the Common Core fiasco is but one example. Common Core forces machine language and thinking, instead of creative and original thought in all disciplines. Will it work? Can they program young brains to do what they want while sorting out those who do not or cannot think their way? As we peruse their agenda and plan of attack, we ask, who would have to be re-programmed? Who would not be admitted into their utopia? Of course, Albert Einstein. As a child he did not do what was expected. He jumped over the limited thinking of his time. He would be data-judged by the new Barberism, and rejected as untrainable. Steven Hawking? Same thing. He would test at the low end of everything these iniquitous, limited thinkers hold dear. How about Alan Turning? Would they use body and mind altering chemicals to eliminate those they don’t want? Let’s bring this closer to home. One of the most avid supporters of this data-driven sieving process is Billy Gates. If Billy applied the new standards to himself as a child, he would never have been allowed in the garage. A character on the education scene would disappear. Arne Duncan, who has championed this takeover and a promised data-driven utopia, and has directed the USDOE to support Barberism, would be getting his pilot’s (pile it) license in a stable. The fact is, almost all our creative thinkers would be discouraged, labelled, and damaged. Poets, authors, musicians, artists, planners, visionaries, lovers, and even some great politicians, would never pass through the sieves they are now designing. Barberism alludes to a way to identify and reprogram these misfits and mesh them into shape. If this information sparked your sense of right and wrong, read: 6 Lessons from Pearson’s Assessment Renaissance: “Preparing for a Renaissance in Assessment,” critiqued and compiled by Peter Greene. 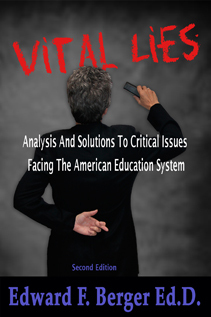 My version came through Diane Ravitch’s blog, as does most current information about American education. I was able to copy all four parts of Green’s work into Word, where I had time to peruse it and react. Pearson PLC is no stranger to me. It is a massive foreign corporation. (Google: Pearson PLC and understand its power). I have blogged for several years about the damage they do. Remember, corporate “veils” are used to hide the individuals who control them. What do you think of Peter Hill’s and Michael Barber’s plans for world change? Hi Ed, it’s been so long, an elephant would have forgotten, but here goes. From Durango, met through Frank Lister, stayed in a Kiva overnight in the Ute park. I will be in Sedona for a week in February attending the film festival, like to have coffee and catch up.